Experiences of depression, anxiety, and peer victimization have each been found to predict one another, and to predict negative outcomes in the domains of school connectedness, social functioning, quality of life, and physical health. However, the common co-occurrence of depression, anxiety, and peer victimization experiences has made it difficult to disentangle their unique roles in these associations. 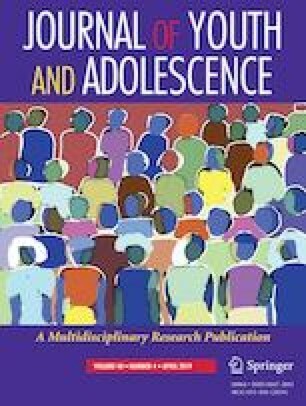 The present study thus sought to characterize the precise nature of the bidirectional relationships between depressive symptoms, anxiety, and victimization over time, and to examine their unique sequelae during the transition from childhood to early adolescence. Longitudinal multi-informant (child-reported, parent-reported, and teacher-reported) data from a nationally representative sample were analyzed using path analysis when the study child was aged 10–11 (n= 4169; Mage = 10.3; 48.8% female) and aged 12–13 (n= 3956; Mage = 12.4; 48.2% female). Depressive symptoms, anxiety, and peer victimization had small but significant unique bidirectional relationships. All three constructs also uniquely and prospectively predicted poorer life functioning across all domains examined. These results demonstrate that current interventions should broaden their scope to simultaneously target depression, anxiety, and peer victimization, as each of these experiences independently act as additive risk factors for subsequent negative outcomes. This article uses unit record data from Growing Up in Australia, the Longitudinal Study of Australian Children. The study is conducted in partnership between the Department of Social Services (DSS), the Australian Institute of Family Studies (AIFS) and the Australian Bureau of Statistics (ABS). The findings and views reported in this article are those of the authors and should not be attributed to DSS, AIFS, or the ABS. M.K.F. and R.M.R. conceived of the study; M.K.F. designed and conducted the statistical analyses, interpreted the results, drafted the Abstract, Method, Results, and Discussion, and revised the manuscript critically for intellectual content; S.F. wrote the first draft of the Introduction, and revised the manuscript critically for intellectual content; N.R.M. wrote subsequent drafts of the Introduction, contributed to the revised discussion, and revised the manuscript critically for intellectual content; R.M.R. participated in drafting all sections of the manuscript, and revised the full manuscript critically for intellectual content. All authors read and approved the final manuscript. This research was supported in part by a National Institute on Drug Abuse (NIDA) training grant supporting the work of M.K.F. (T320A037183), an Australian Research Council (ARC) Laureate Fellowship grant supporting the work of M.K.F., N.R.M., and R.M.R. (FL150100096), and a National Health and Medical Research Council (NHMRC) grant supporting the work of R.M.R. (APP1047185). NIDA ARC, and NHMRC had no further role in the study design; in the collection, analysis, and interpretation of data; in writing; nor in the decision to submit the manuscript for publication. The data that support the findings of this study were obtained from the Department of Social Services under license. Restrictions apply to the availability of these data, so they are not publicly available. The Longitudinal Study of Australian Children was approved by the Australian Institute of Family Studies Ethics Committee. All procedures performed in studies involving human participants were in accordance with the ethical standards of the institutional and/or national research committee and with the 1964 Helsinki declaration and its later amendments or comparable ethical standards. All individual participants provided informed consent. Wang, C. (2011). A longitudinal investigation of peer victimization, self-esteem, depression, and anxiety among adolescents: A test of cognitive diathesis-stress theory. Public Access Theses and Dissertations from the College of Education and Human Sciences. 110. http://digitalcommons.unl.edu/cehsdiss/110.